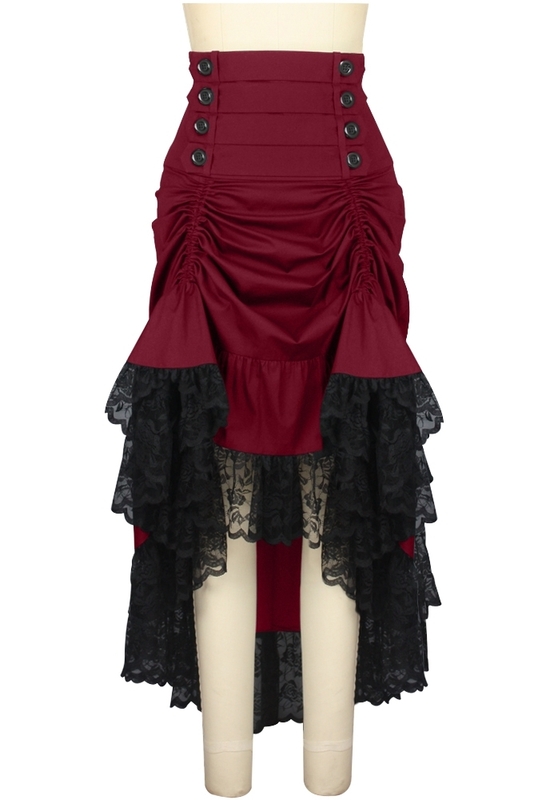 This skirt has two ribbon ties both in front and back to adjust the length of the skirt. The short belts on the front waist are removable. There are two tiers of ruffles in the back and one tier in the front. Scalloped lace hem. Side zip. Standard size approx. length: 39 inches; Plus size approx. length: 43 inches.